Through pioneering research and sound product development strategies, Mario® has become one of the most recognized olive brands in America. With origins dating back well over 100 years ago, brand Mario® has grown to become an industry leader by offering only the very best food products to our customers and consumers. Packed under the strictest of guidelines, Mario® leads the way on both product innovation and quality. I was a little bit afraid to even eat an olive. I have never been any kind of an olive fan and to be honest, they sort of scared me lol. I've had olives in the past and they were so salty, strong flavored and chewy...I really thought I would always dislike them. 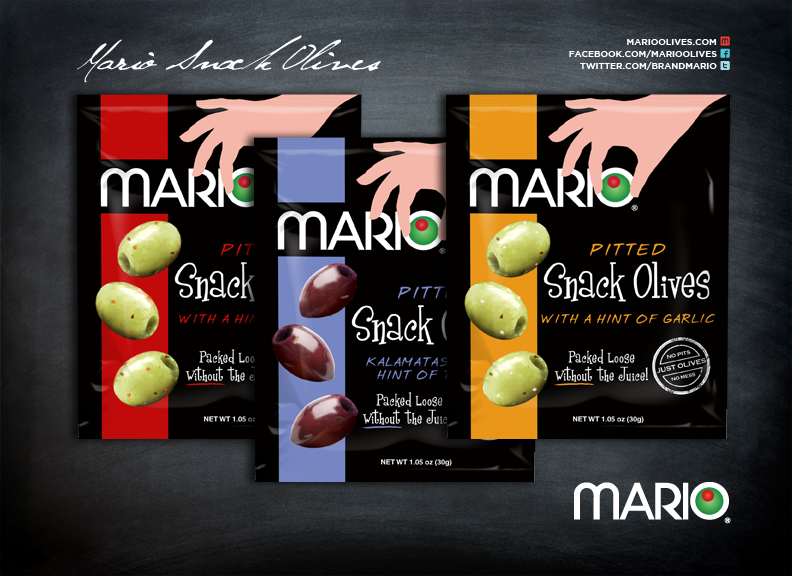 I was pleasantly surprised once I had eaten my first olive from MARIO Snack Olives! I chose the Kalamatas with a hint of thyme as my first and they were absolutely delicious. These are not your ordinary olives out of a jar, they are packed without brine and just a bit of olive oil so they stay moist and delicious. Each serving is only 100 calories so they are the perfect snack for those watching their figure or for anybody just wanting to eat healthier. After trying out the Kalamatas, the garlic and the chili flavored olives I decided it was time for a little cooking in the kitchen. I was already sold on the taste, but would my family be? I made a recipe off of the MARIO website called Moroccon Chicken w/ MARIO Olives. I paired it with a side of couscous and some chopped and steamed spinach. Not only did everyone gobble their plate up, they were asking for seconds! I think that the chicken was really juicy and the flavor of the olives really complimented it well. Also follow their Twitter and Facebook pages for news and more.